We all know TOMS is quite a hipster thing to own these days and with my very first pair, I totally risked it by allowing someone to conteng (scribble) all over it! Okay, probably not so drama. My TOMS was in good hands, in fact, #ContengKasut (IG: www.instagram.com/contengkasot/) is an amazing artist. 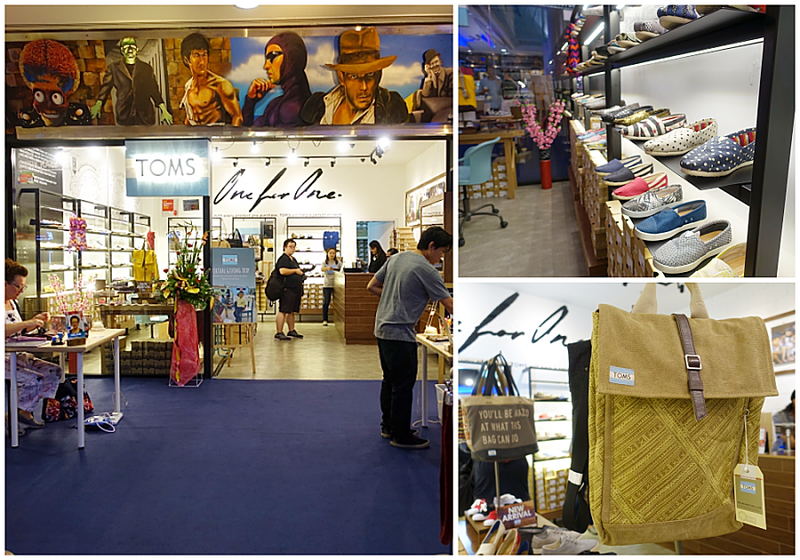 I was there early during the Style Your Sole Celebration event at their 4th store in Sunway Pyramid, to get my blank canvas TOMS and getting it customised for free! Additionally, helping a child in need because every pair you buy, TOMS will give a pair of new shoes to a child in need. It's their One For One mission. There was actually a file of designs to choose from, it will be in my video coming up soon. After selecting the design I like, I passed it over to the artist and hang around the TOMS store for a bit. I put on their Virtual Reality Headset and watch a meaningful video of what TOMS Company is all about and how they have been helping others in need. Pretty interesting concept. Besides that, of course, I walked around and check out some of their other items. Speaking of which, their female backpacks are gorgeous. Just within 15-20 minutes, he was done with my shoes! I've got myself a galaxy designed TOMS! It was so beautiful that I had to wear them out immediately, plus it was definitely way comfier than my pair of high heels, of course. I've been rocking flats to many places recently, mainly in Uni because it's a place I'll have to walk a lot - from uneven stone parking lot to classes. Truly, this is a pair that I've been putting on most of the time. Plus it goes with almost everything. It's surprisingly quite breezy and comfortable for a hot climate like Malaysia, the only problem is when it's raining, it will be soaking wet. Additionally, their shoes seem to be a size smaller than usual. I'm normally a size 5 but with this I had to get a size 6, even their half size up, 5.5, did not work for me. Here's a closer look! I am delighted to finally own my very first pair of TOMS! I foresee loads of #OOTD with this. Although the free design is a one time only promotion, I heard that they are planning to do more of such event in the future. So if you are interest, do keep tab on them on Facebook at facebook.com/TOMS.MYS! 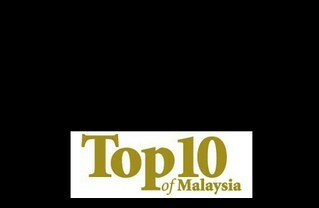 Check out their new store at Sunway Pyramid (Lot F1.09, Level 1).